Brunch is without a doubt my favourite meal. And doubly so when it’s in a picture perfect environment. 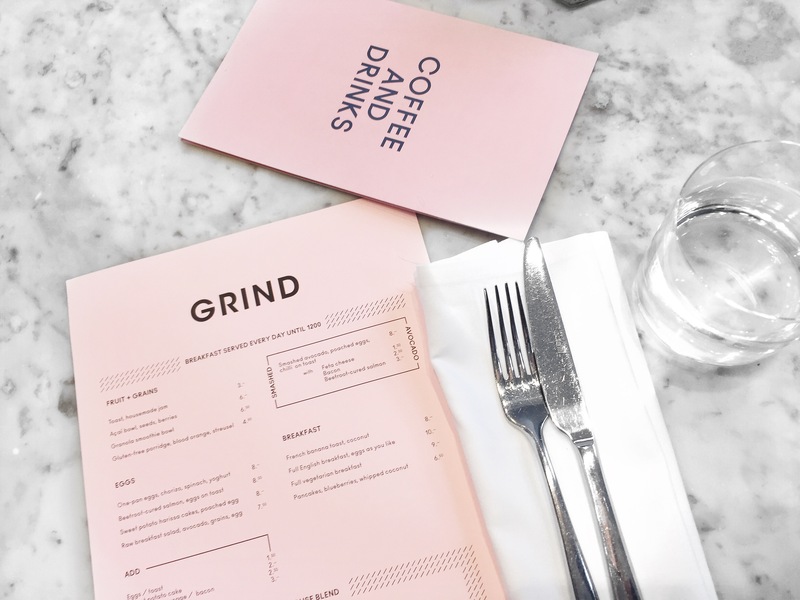 So when we headed down to London recently, Clerkenwell Grind was next on my London to-do list. 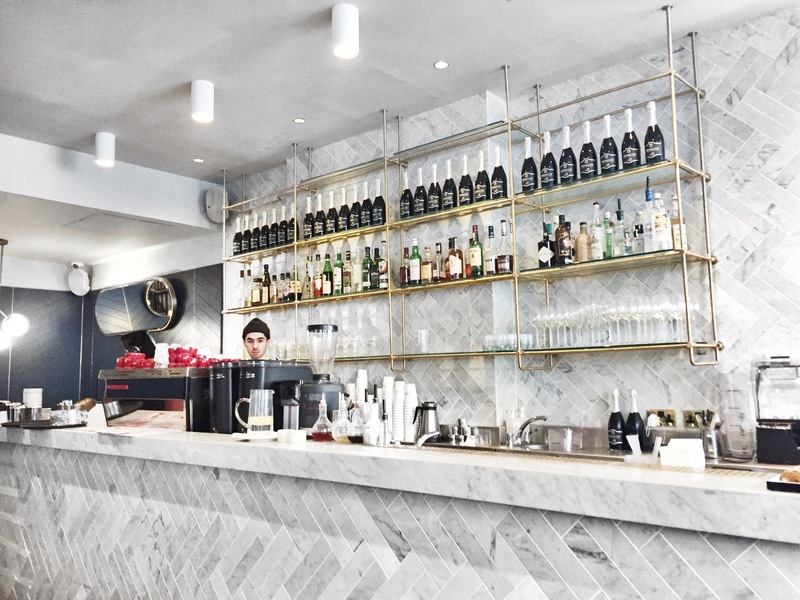 Clerkenwell Grind is part of a small chain with several eateries across the city. 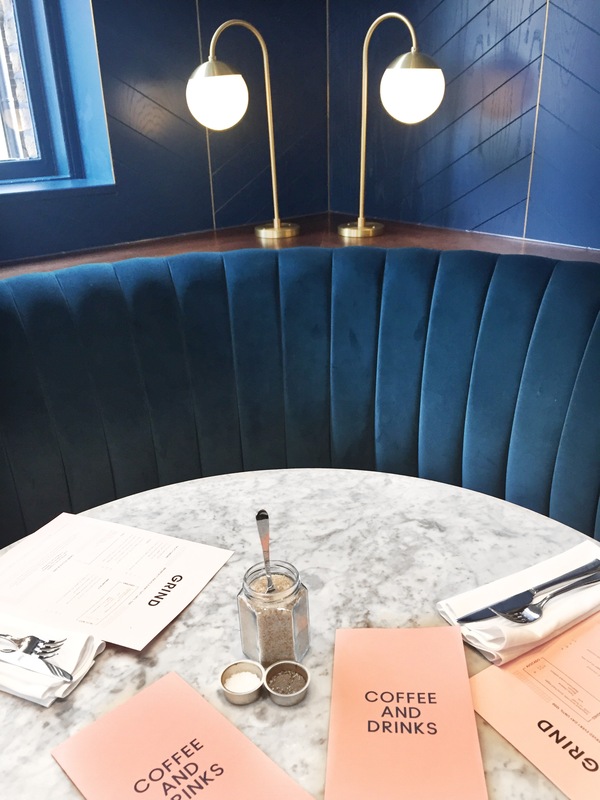 Sandwiched in between Old Street and Barbican, it’s nestled in between the hustle and bustle of the capital, yet the minute you walk in you’re surrounded by slick surroundings and pretty details. 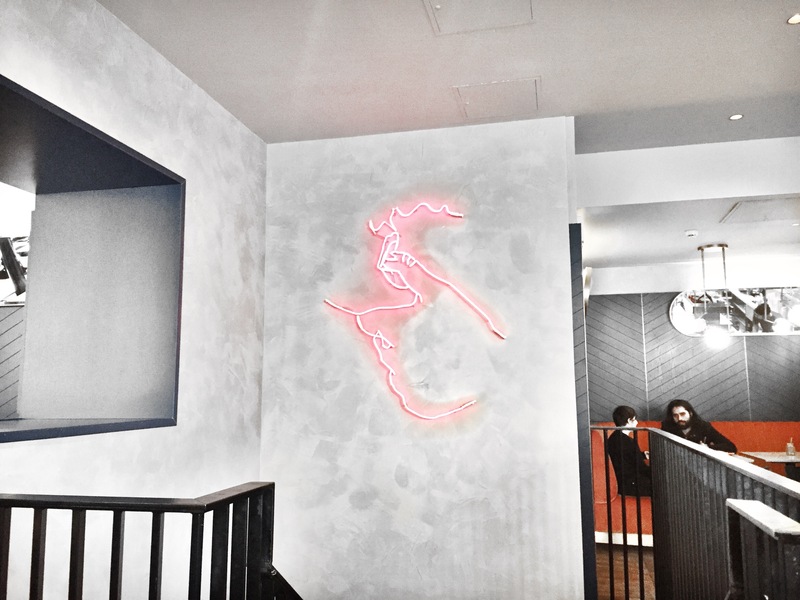 Think gold brass, pink neon signs, white subway tiles and plush velvet booths and its interior is reason enough to visit. Thankfully the food is just as good too. There is a bottomless brunch option but we skipped liquor and headed straight to the food. 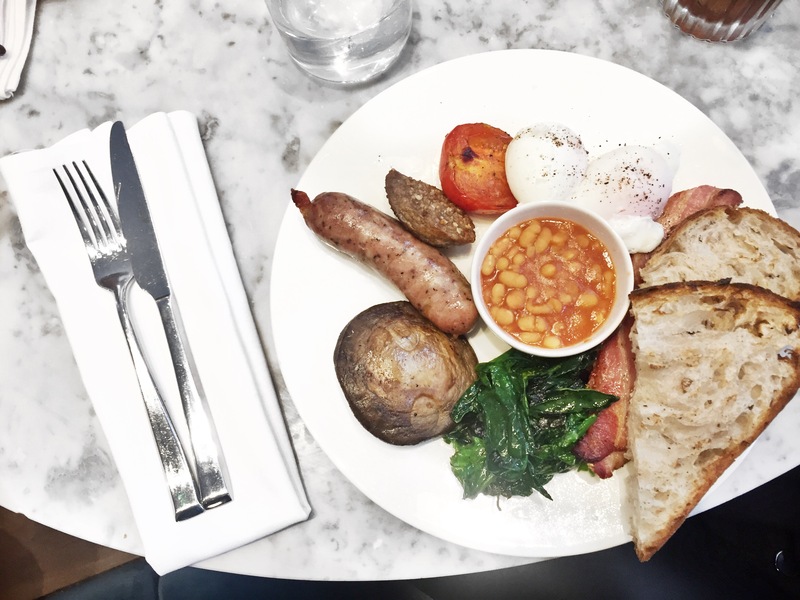 Unsurprisingly I went for a Full English - after the two hour train ride and convincing myself a banana for the journey was a good shout, I was ravenous. Maybe it was the life reminiscing but the food arrived in the middle of ‘remember when?s…’ and it filled the hungry hole that the 200 mile trip had prepped. The ingredients lived up to the pictures, albeit my poached eggs not being as cooked as I’d like but I can forgive that for the rest and all of the laugh ’til you cry stories, like when we hitched a lift in a stranger’s cow trailer in Wales, or when we attended a Lake District charity ball, lost my sight for an hour and then saw a ghost in the bedroom. Pretty standard if you ask me. But what isn’t standard is this place. It’s a hidden gem just waiting to be uncovered and is a chain I will quite happily return to. People bang on about London being expensive but it’s not extortionate if you know the right places to look, and if I haven’t convinced you with my words, maybe my pictures will do the trick.